Downtown Singapore. 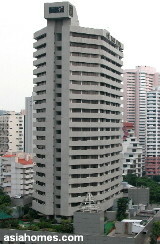 14 Scotts Road. 1 block. Apartments with condo facilities. Completed: Around 1994. For rent only. 2- and 3-bedroom units mainly. No one-bedroom units in this development. Facilities: Swimming pool, children's pool, gym, tennis court, squash court, mini golf course, tropical garden, jogging track, barbecue pits, covered car parking. Food cafes and shopping just downstairs. Advantages: Situated at the heart of the Orchard Road/Scotts Road, next to Hyatt and Goodwood Park Hotels, it is a 2-minute walking distance to Orchard Road tourist belt and minutes away from the central business district and MRT system. Between Goodwood Park and Hyatt Hotels. Many shops, cafes like Starbucks, McDonald's, Burger King, Delifrance, cinemas, supermarkets nearby and the private Mount Elizabeth Hospital (a 10-15-minute walk), Tanglin and American Clubs nearby. Just a 3-minute walk to Orchard Road's supermarkets, food and beverage joints and cinemas, Border bookstore, Starbucks and the Orchard subway. At the bustling Orchard Road area, all your needs are easily accessible from shopping centres, department stores, banks, restaurants, supermarkets, discotheques, sporting and recreational facilities. A 2-min walk to Orchard Road or the Newton subway. 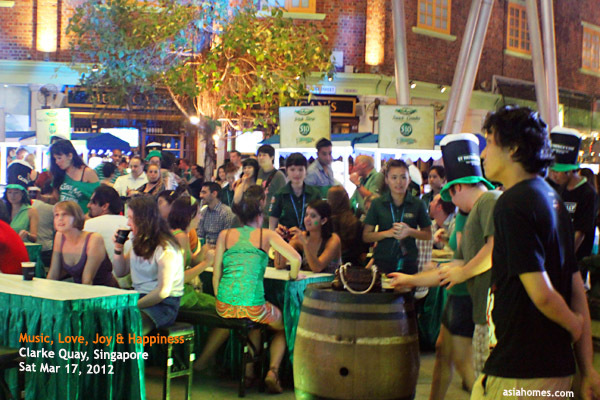 Clarke Quay, the favourite of the young Caucasian expatriate is a 3-minute drive away for a night of social networking. There is no 1-bedroom unit at Far East Plaza but 2-bedroom, 3- and 4-bedroom apartments. Rates vary according to age, size of apartment, the floor level and location. The guide below gives you a general idea of the rates for 2-bedroom serviced apartments near Orchard Road. Most of the newer serviced apartments have similar facilities. A very brief comparative analysis is given below. There are no problems getting taxis and buses for serviced apartments close to Orchard Rd. The bus ride to Holland Road takes less than 15 minutes for the Orchard Parksuites, Leonie View and Somerset Regency. 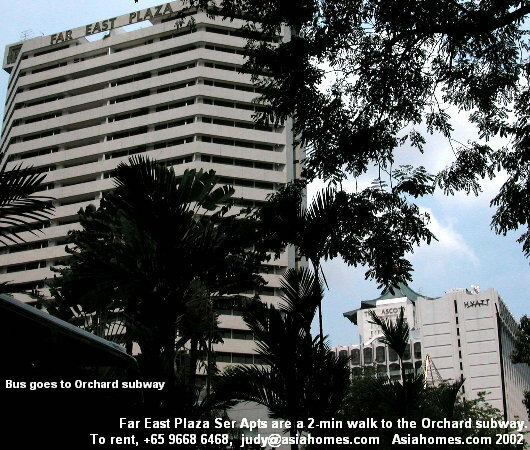 Orchard Parksuites is still the most popular, being next to the Orchard subway. Treetops Serviced apartments are extremely popular for expatriates who can pay top rates as they are the newest upscale accommodation. 1. 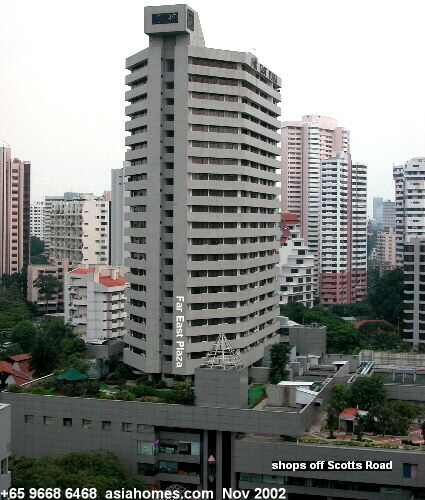 What is the cheapest 2-bedroom serviced apartment in the downtown Orchard Road area in 2011? There are no below S$3,000 - $5,000/month 2-bedroom serviced apartments downtown Orchard Road. Most newer 2-bedroom serviced apartments rent above $8,000 - $12,000 per month in 2012. 2. Why can I get a biggest 2-bedroom near Orchard Road? are bigger than the average ones. Free shuttle to Orchard Road and Suntec City. Complimentary breakfast. 3. There is an extremely high demand for Far East Plaza serviced apartments by expatriates who will not mind older apartments and no long baths in the smaller units. FOR EXAMPLE, In April 2012, a 2 bedroom in Far East Plaza Serviced apartment was rented at a weekly rate of S$2,500 - $2,700/week and subject to GST. Monthly rate would be S$8,000 and subject to GST. This rate will includes 3 times a week housekeeping service, local calls, basic tier cable tv, internet access and utility. Common laundrette at $4 per token per use of washer and $4 per use of dryer. There is a Queen and 2 single beds in 3-bedroom units. · Security Deposit: 1 month’s gross rental (for 1 month to less than 6 month lease). 2 months’ gross rental (for 6 month to 24 Months lease). Rental will be subjected to GST. NOTE: There are 2 types of 2-bedroom layouts: Standard 2 bedroom (646 sq ft) and Deluxe 2 bedroom (1033 or 1130 sq ft). The Standard 2-bedroom has one bathroom to be shared while the Deluxe 2-bedroom units has 2 bathrooms and rents higher. For example, in March 2012, the weekly rental for a Standard 2-bedroom is $2,500/week while that for a Deluxe 2-bedroom is $2,700/week. Deposit for booking is $500 payable by cash or credit card. $1,000 security deposit. Advanced payment of rent for weekly rentals. NOTE: Five PENTHOUSES which are 2-levels with or without a small pool. They are located on the 26th floor. Far East Plaza deluxe serviced apartments are the most affordable serviced apartment within walking distance (a 10-15 min walk to Mount Elizabeth Hospital) for overseas visitors to Mount Elizabeth Hospital. However, do note that there are no long bath tubs for the two-bedroom units and if you want spanking marble-floor newer bathrooms and cabinets, do consider others, but rentals will much higher. Rent/month DOWNTOWN SERVICED APARTMENT RENTALS IN 2011 ARE ABOVE S$7,500 PER MONTH FOR 2-BEDROOM AND >$10,000 - $20,000 PER MONTH FOR 3-BEDROOM. 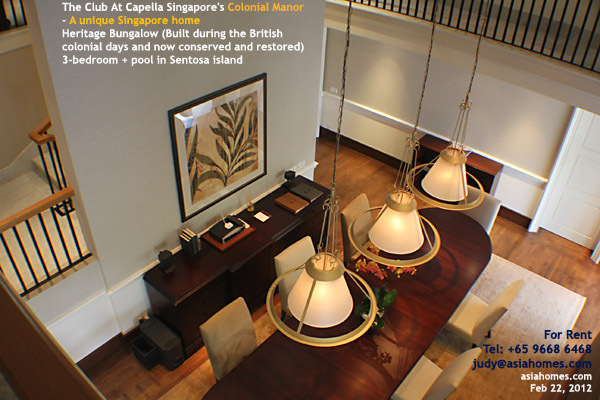 For the latest info, e-mail judy@asiahomes.com or tel +65 9668 6468. Clark Quay 2-min walk. Bus to Orchard Road. Facilities Roof top pool, tennis court, squash court, mini golf course, gym, tropical garden, jogging track. Tennis & squash courts, snooker room. Pool, Tennis court. Pool, sauna & steam rooms. children's playground. Pool. Gym, Business centre. BBQ area, playground. Fringe of Central Business District. 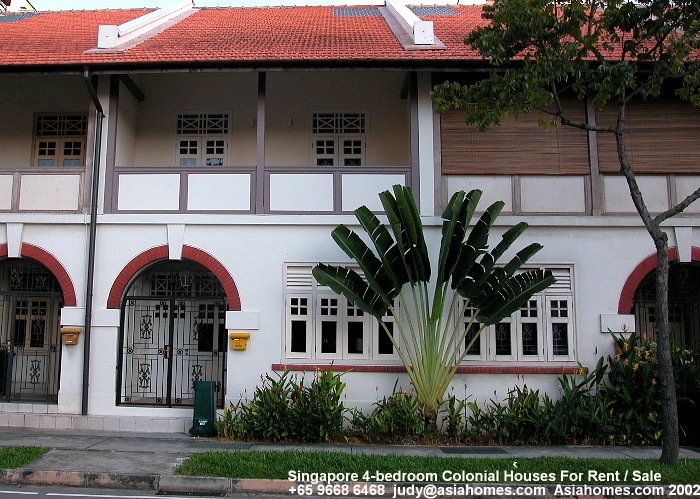 RENTALS IN 2012 ARE ABOVE S$7,500 - $9,000 PER MONTH FOR 2-BEDROOM AND >$10,000 - $20,000 PER MONTH FOR 3-BEDROOM units in downtown Singapore. 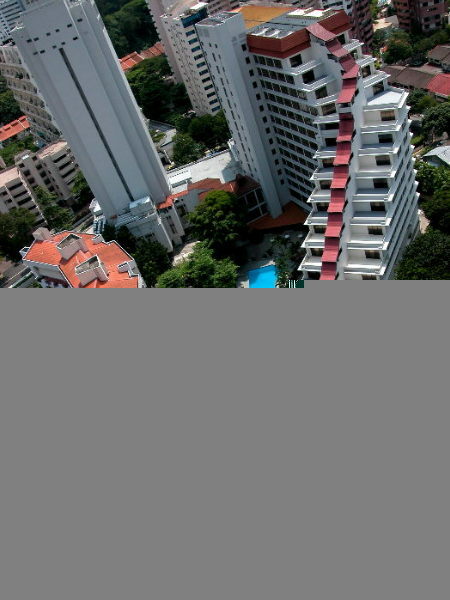 These rates apply to most of the centrally located serviced apartments in Singapore. There ARE no more $3,000 - $5,000 monthly rental for 1- or 2-bedroom serviced apartments in downtown Orchard Road nowadays. NOTE: We book for you the serviced apartments WITHOUT charge and usually we get paid by the Landlord.